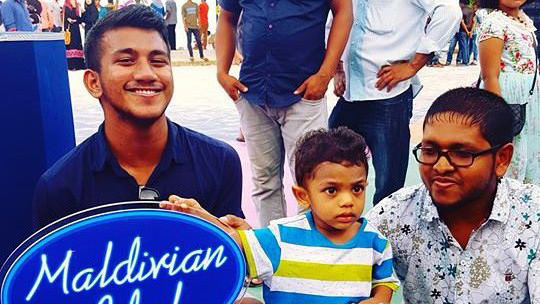 Hassan Shahudhaan leaves the show, while Naushaad Abdulatheef, Aishath Azal Ali Zahir, Thasleem Abdul Kareem, Mariyam Maeesha and Aiminath Saina Mohamed Rasheed secures top 5 spot on Maldivian Idol Season 3, after Saturday night's elimination show. It was a night filled with many surprises including surprise opening performance by Maldives National Defence Force, MNDF Band, to celebrate 126th anniversary of the Military. 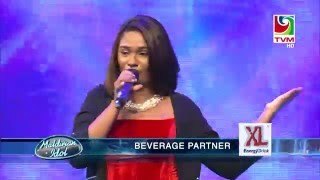 Another surprise was the guest performers, renowned local artists, who joined the show to perform duets with the top 6. It was followed by a rap music performance by MNDF band members on the moral based topic of social responsibility. 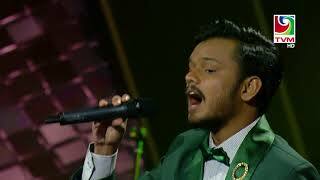 The performances was nothing short of magical, bringing us many old is gold tunes sung by our local musical legends. 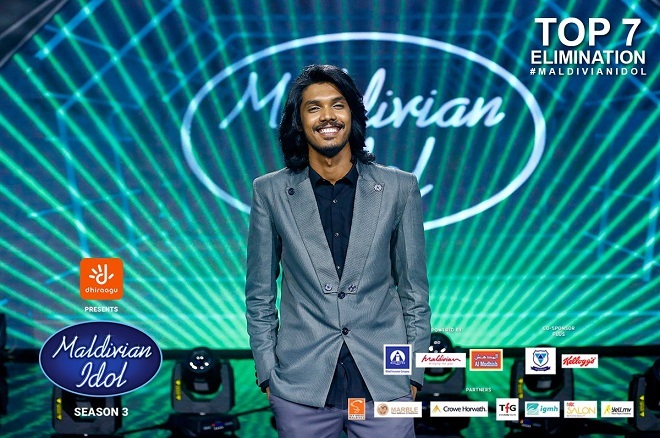 The episode guest judge was none other than Akram Sir, respected MNDF band member. 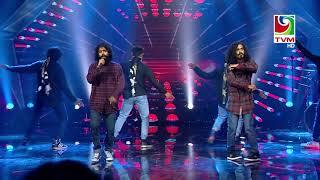 But the gloriously fun night also saw Shahudhaan leave the show due to being able to secure the lowest votes through audience SMS and judges marks. 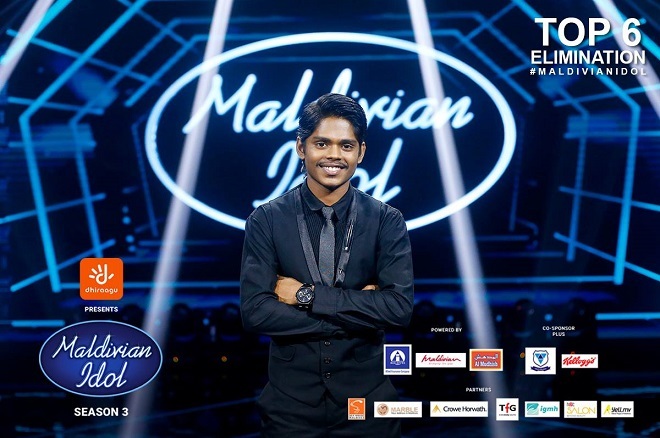 Shahudhaan was in tears, so were his idol family, but put on a brave face, citing that he would continue to pursue his passion to perform for his fans. 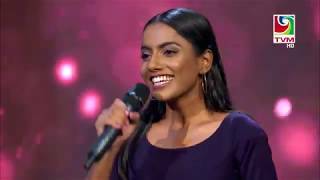 Next week we will see the top five once again bring their best on Friday for the performance night as idol nears the end. That’s right, our top six have once again awed us all, with performances themed on rock and roll, and they did not disappoint! The hosts, judges, contestants and even the band were aptly dressed to the theme of the night. Our top six impressed us with rock and roll covers of our favorite songs, giving us the feel of being at a rock concert! It would be hard to select a favorite, because each contestant seemed to have outdone themselves. 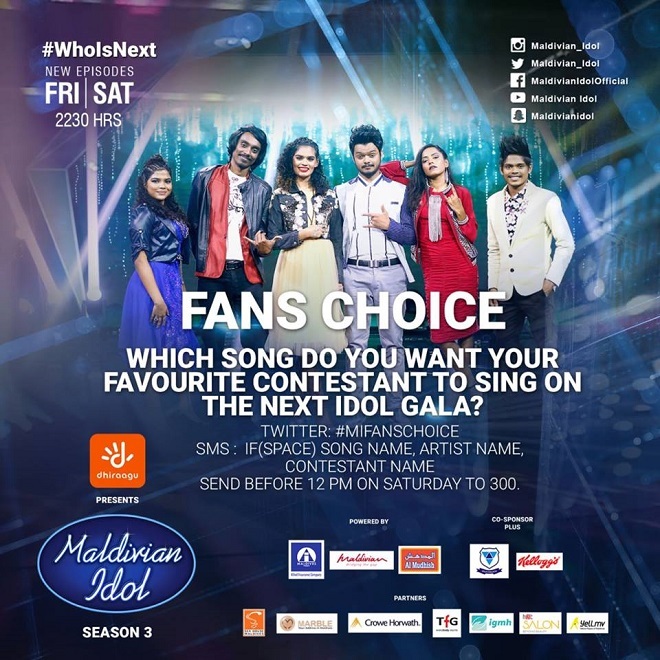 Meanwhile, fans also have the opportunity to send in their requests, of songs they would like idol contestants to perform. Voting for each contestant is now open and will close at 4pm on Saturday. So hurry up and go vote to take your favorite contestant to the top 5 of this season. 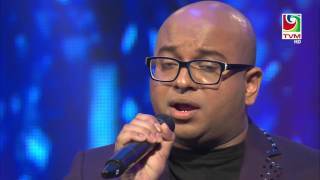 Raihaan eliminated, judges & fellow contestants in tears! 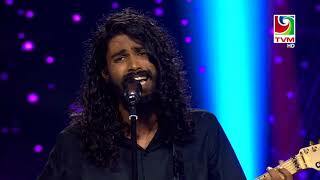 Raihaan Adam leaves Maldivian Idol season 3 after being eliminated on Saturday night, leaving everybody tearful. 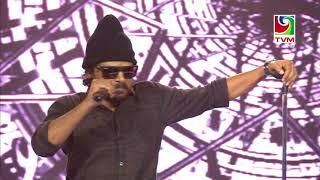 This was the 5th elimination show of the season, which was themed - Electronic Dance Music, EDM. DJ Paide joined the episode, giving us all a serious case of dance fever with his amazing music composing. 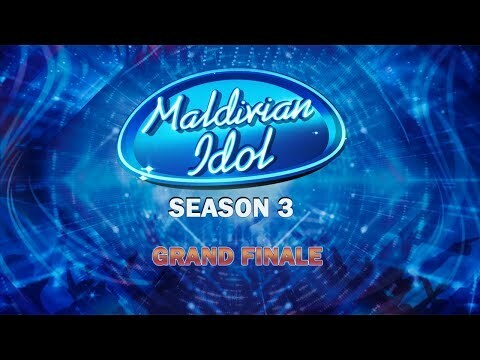 Now, Naushaad Abdulatheef, Hassan Shahudhaan, Aishath Azal Ali Zahir, Thasleem Abdul Kareem, Mariyam Maeesha and Aiminath Saina Mohamed Rasheed have secured the top 6 spot of this season. They will perform next Friday night to battle for top 5. Stay tuned to watch your favourite idols perform to a new theme during the weekend. Top 7 attempts one of the most diverse genres of music, reggae, on Friday night's episode of Maldivian Idol. The group song in the beginning of this week's episode saw our talented 7 trying out the instruments and bringing a reggae feel to their singing as well. 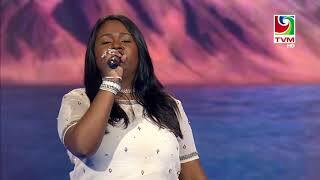 We saw individual performances in which the contestants attempted to incorporate reggae feel into the songs. Their costumes and the whole vibe of the episode was based on the the rich and lively genre. 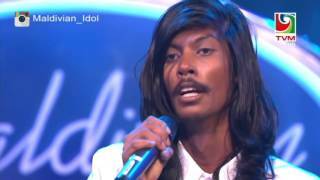 Contestants gave their best to each performance, but were not able to fully impress the judges. 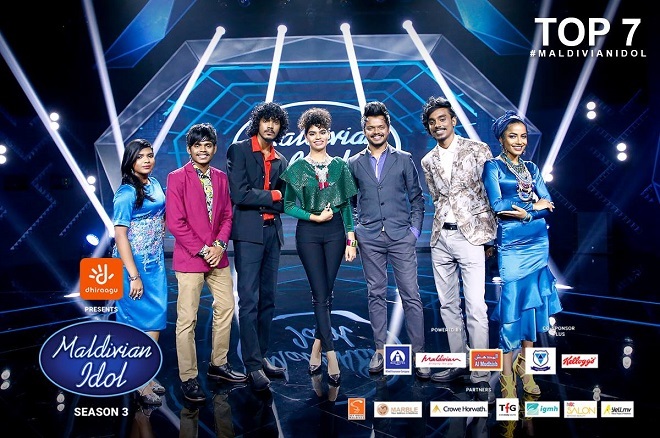 Voting for all contestants began right after each performance and will be open till 4pm on Saturday. Each mobile number can send in 50 SMSs, which will be charged 3 Rufiyaa each. So start voting to select the top 6 of this season. We wish the best to all contestants. Q: How did you breakout into the music industry, and when did you develop an interest in music?